It came from my grandfather's general merchandise store in Camp Verde, Arizona, which he owned probably from the late 1800s or early 1900s until his death in 1966. Any idea when he acquired this? I'm not positive, but I think around the 1950s. Well, it says "Since 1850," and you might assume it's an anniversary piece. That's what I was thinking. It could have been 100-year advertisement, yeah. How come you kept it? There must have been a lot of things in the store. Why'd you pick this out? Well, my mother gave me this, and we had a, what we called a wine cellar, which was underground. We just hung it up in there for decoration. 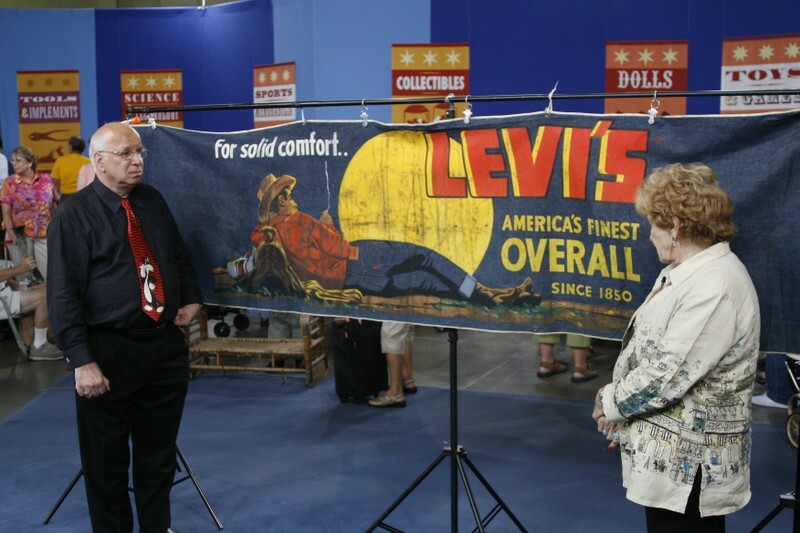 Levi Strauss were famous because of the rivets they used. That's right. And it was back in the days of the Gold Rush. Denim used to be worn by sailors. But they would wear it loose, sewn together. It was... Levi Strauss had the genius to rivet it together so it would last. 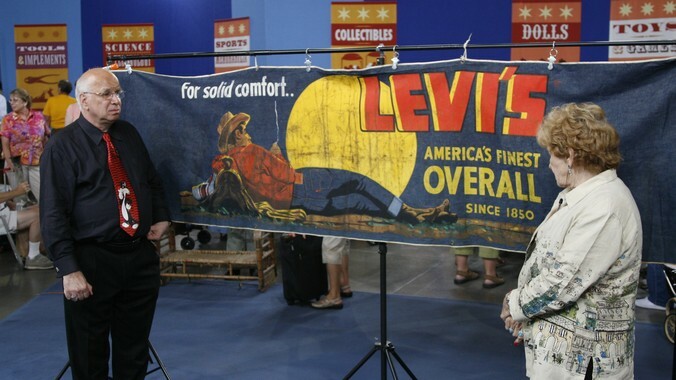 But this sign actually represents the second wave of genius of Levi Strauss, the company. Because starting in the early 1950s, they decided to start selling and find a new audience for their jeans aside from just, you know, cowboys and, uh, workmen. And to sell the romance of jeans to the general public, to wear jeans actually out in the street, you know... when you weren't working in the garage or something like that. And of course, they were the primary brand for decades until other people moved into the field. This is a fantastic piece of advertising. The cowboy out in the field. And, of course, they show their famous red tag from that period which helps to date the whole thing. But what's interesting to me is that this is a very large sign, it runs nine and a half feet. It's silk-screened onto the denim. Now, the silkscreen process lends itself to high quality, but very limited numbers. And on denim, you're only going to be able to get a couple of hundred impressions before the screen breaks down. So they probably didn't make many? They only made a very small number. Now, the size is interesting in that it makes it very difficult to sell as a collectible. But there is a market for this. And the market is the large number of stores in this country that now sell vintage denim. They love to decorate with original old Levi advertising, which is not that easy to find from prior to 1960, as this sign is. So taking all those things in consideration, the retail value of this sign would be between $1,800 and $2,000. That's... that's a good value, yeah. It's a good value for a sign that survived by accident. So thanks for saving it for us. 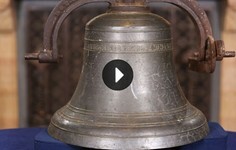 Executive producer Marsha Bemko shares her tips for getting the most out of ANTIQUES ROADSHOW. Value can change: The value of an item is dependent upon many things, including the condition of the object itself, trends in the market for that kind of object, and the location where the item will be sold. These are just some of the reasons why the answer to the question "What's it worth?" is so often "It depends." 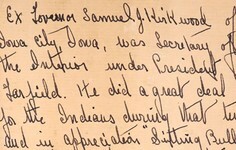 Note the date: Take note of the date the appraisal was recorded. This information appears in the upper left corner of the page, with the label "Appraised On." Values change over time according to market forces, so the current value of the item could be higher, lower, or the same as when our expert first appraised it. Context is key: Listen carefully. Most of our experts will give appraisal values in context. For example, you'll often hear them say what an item is worth "at auction," or "retail," or "for insurance purposes" (replacement value). Retail prices are different from wholesale prices. Often an auctioneer will talk about what she knows best: the auction market. A shop owner will usually talk about what he knows best: the retail price he'd place on the object in his shop. And though there are no hard and fast rules, an object's auction price can often be half its retail value; yet for other objects, an auction price could be higher than retail. As a rule, however, retail and insurance/replacement values are about the same. Verbal approximations: The values given by the experts on ANTIQUES ROADSHOW are considered "verbal approximations of value." Technically, an "appraisal" is a legal document, generally for insurance purposes, written by a qualified expert and paid for by the owner of the item. An appraisal usually involves an extensive amount of research to establish authenticity, provenance, composition, method of construction, and other important attributes of a particular object. 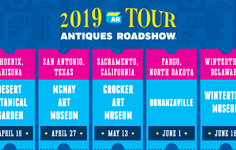 Opinion of value: As with all appraisals, the verbal approximations of value given at ROADSHOW events are our experts' opinions formed from their knowledge of antiques and collectibles, market trends, and other factors. Although our valuations are based on research and experience, opinions can, and sometimes do, vary among experts. Appraiser affiliations: Finally, the affiliation of the appraiser may have changed since the appraisal was recorded. To see current contact information for an appraiser in the ROADSHOW Archive, click on the link below the appraiser's picture. Our Appraiser Index also contains a complete list of active ROADSHOW appraisers and their contact details and biographies. Learn how one photographer turned street candids into high art. 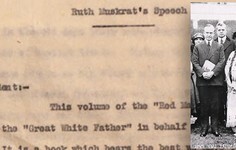 Enjoy the family stories told and ancestors found! Discover the world of this newspaper innovator. ANTIQUES ROADSHOW is a trademark of the BBC and is produced for PBS by WGBH under license from BBC, Worldwide. 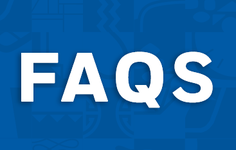 PBS is a 501(c)(3) not-for-profit organization. ©1997 – 2019 WGBH Educational Foundation. A weekly collection of previews, videos, articles, interviews, and more!